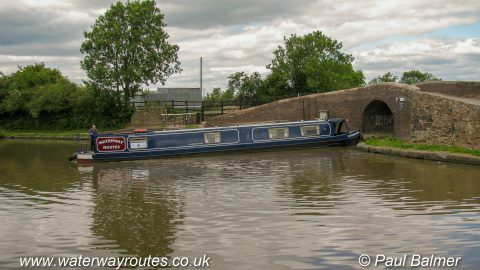 Farmers Bridge Junction is immediately above Farmers Bridge Lock 1. 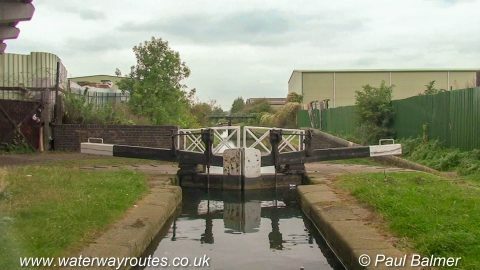 Bumblehole Branch Junction > Birmingham Canal Navigations (BCN)Bumblehole Branch Next > The short Bumblehole Branch of the Birmingham Canal Navigations (BCN) leaves the Dudley No 2 Canal near Windmill End. 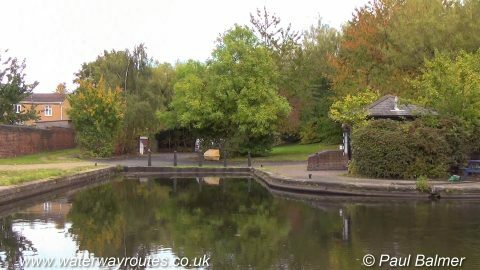 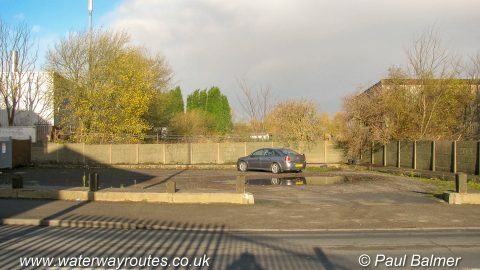 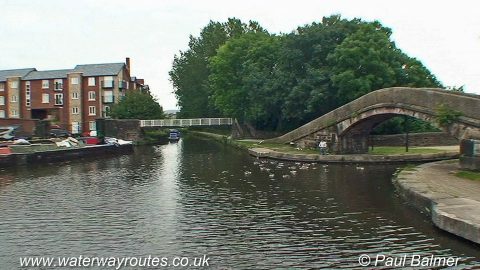 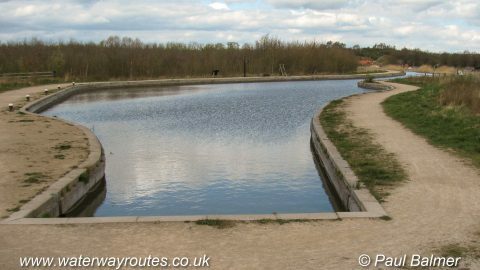 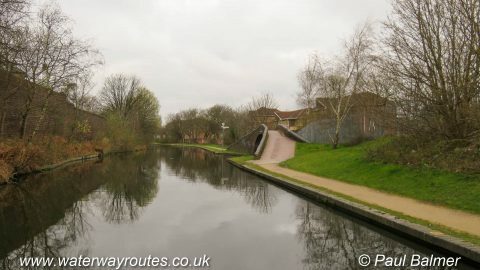 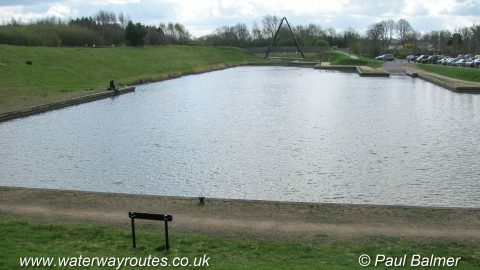 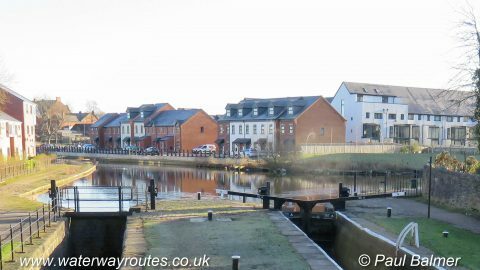 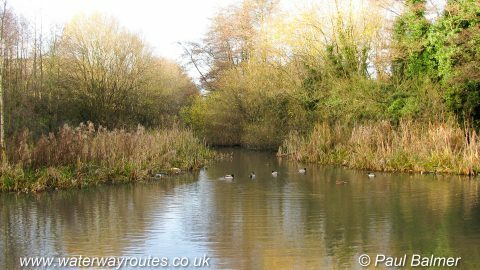 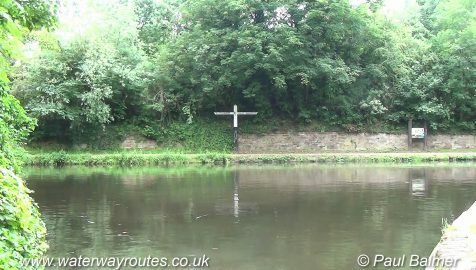 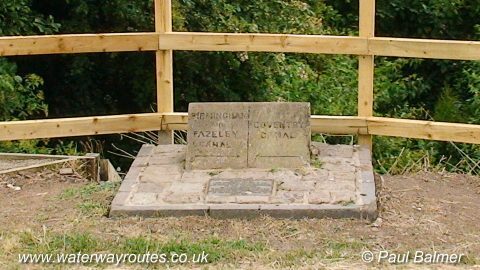 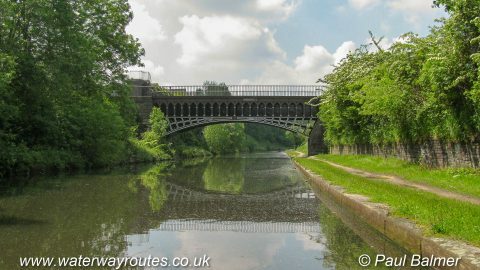 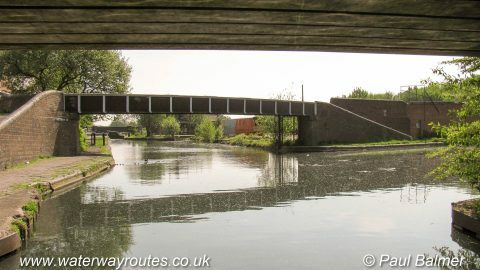 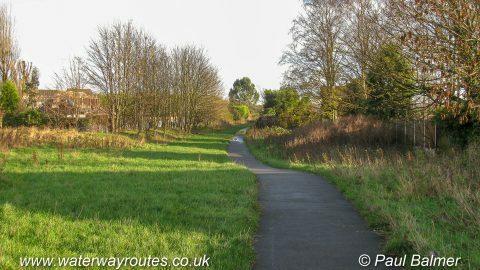 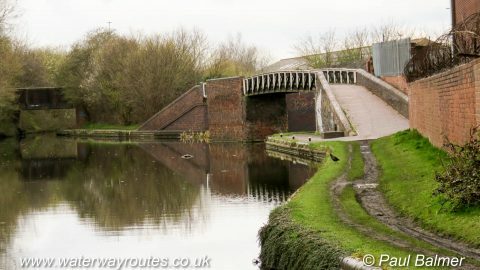 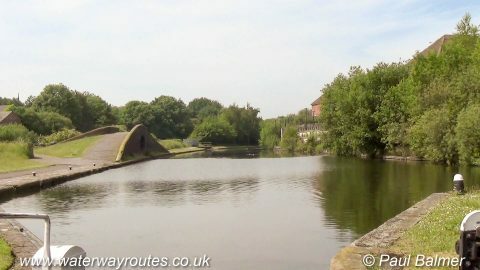 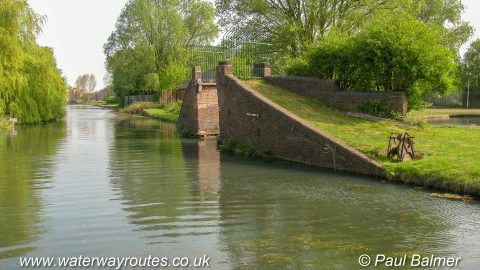 Pelsall Junction > Birmingham Canal Navigations (BCN)Cannock Extension Canal Next > The Cannock Extension Canal of the Birmingham Canal Navigations (BCN) extends northwards from Pelsall Junction to its terminus at Norton Canes. 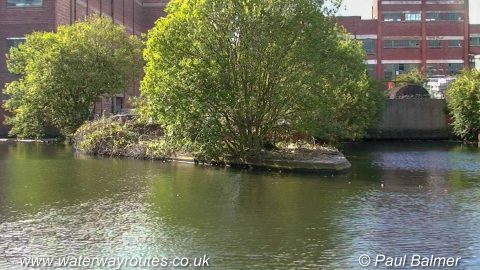 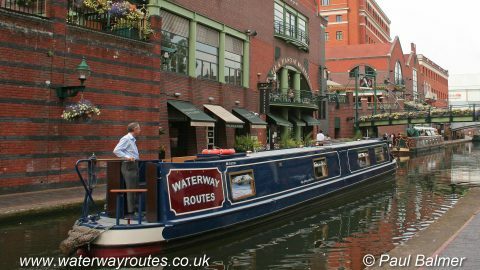 Our Waterway Routes narrowboat is passing through Worcester Bar as it leaves the Worcester & Birmingham Canal and enters the Birmingham Canal Navigations Main Line at Gas Street Basin. 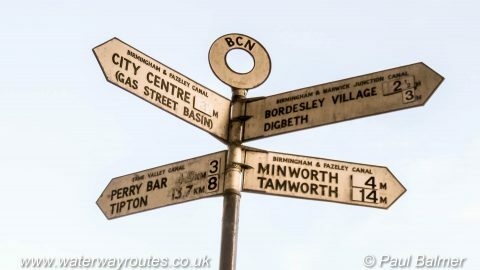 When first built the act of Parliament which authorised their construction required them to be separated by a bar and all good had to be transhipped across the bar. 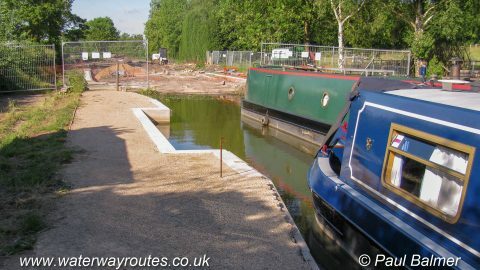 Eventually permission was granted for the channel to be constructed through the bar that we use today. 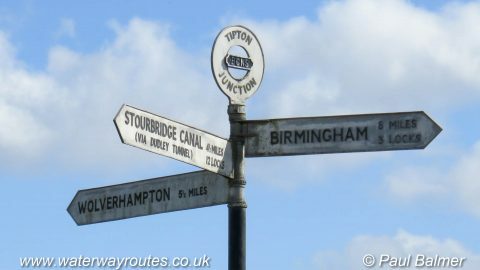 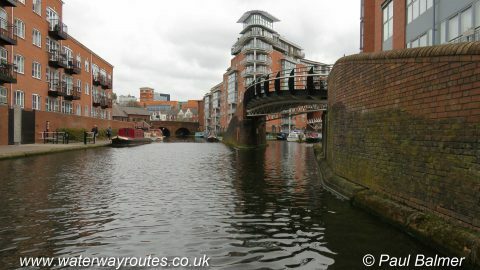 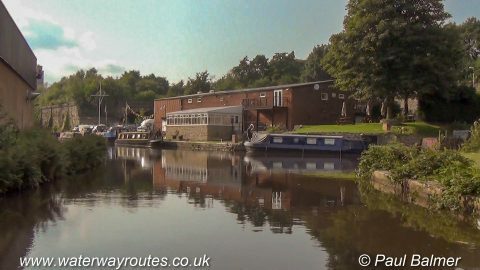 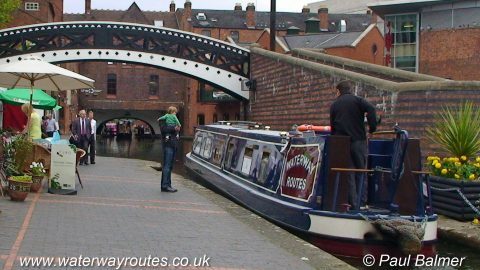 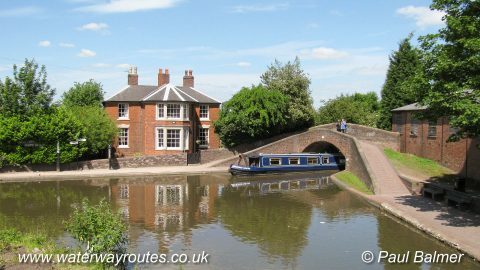 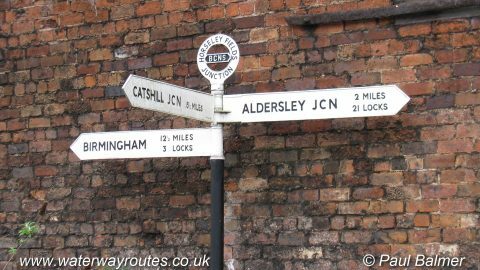 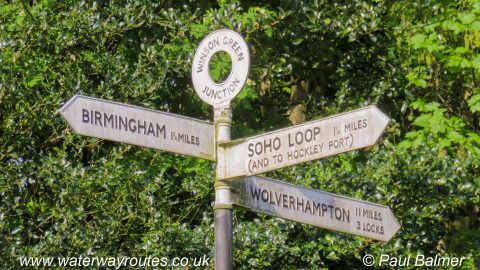 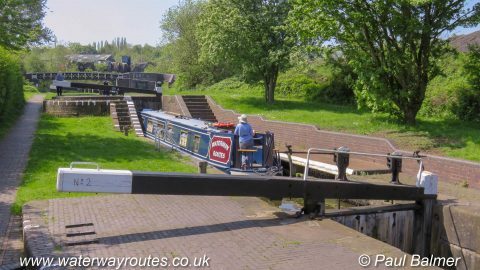 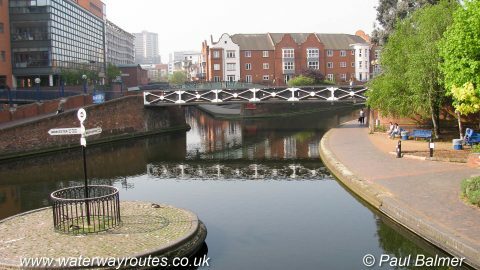 Our Waterway Routes narrowboat is turning onto the Birmingham and Fazeley Canal which is generally considered to start at Deep Cutting Junction these days. 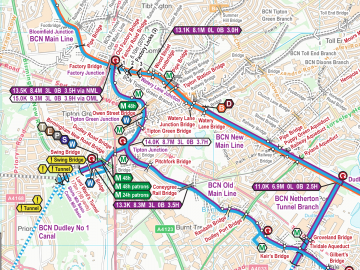 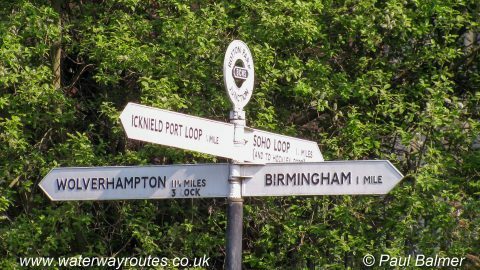 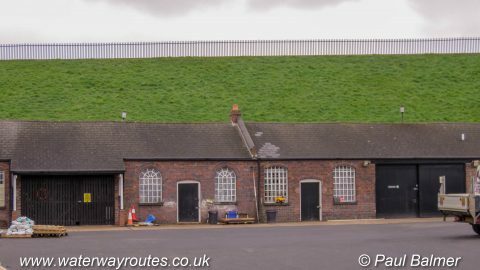 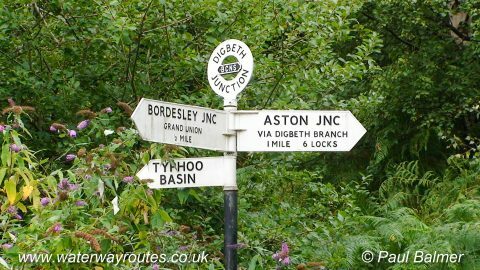 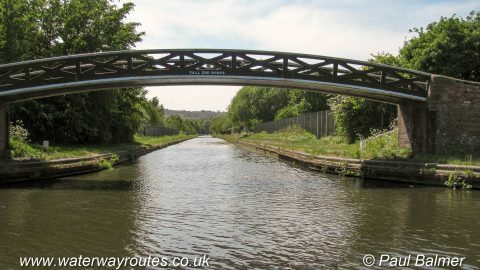 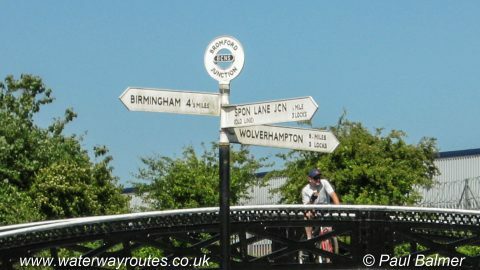 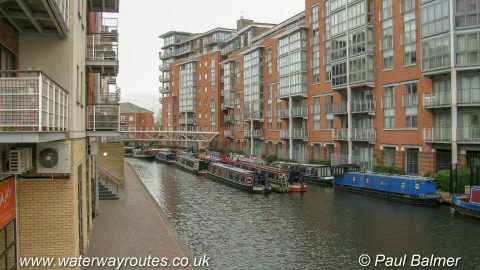 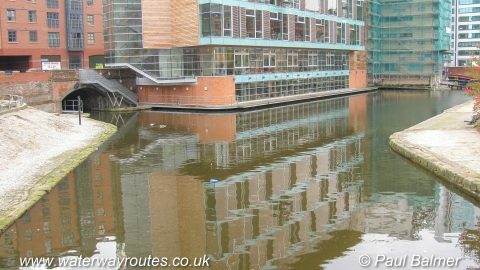 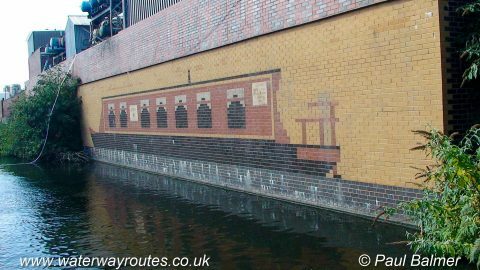 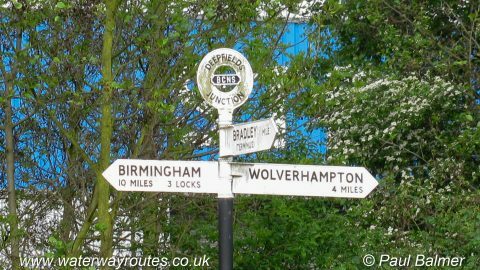 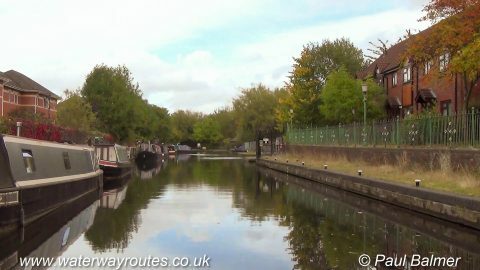 Ladywood Junction is on the Birmingham Canal Navigations (BCN). 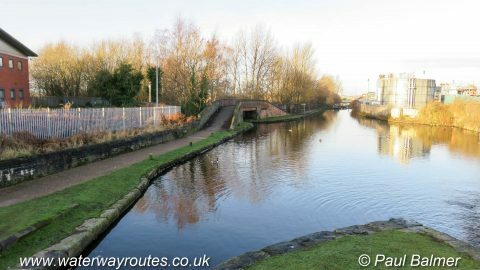 We are looking along the BCN Main Line towards Old Turn Junction, with Wolverhampton behind the camera. 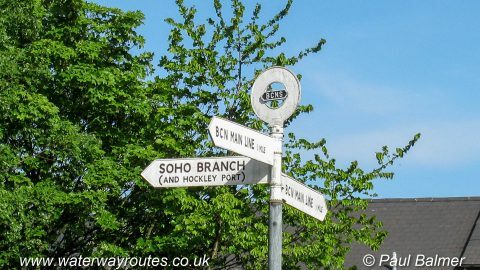 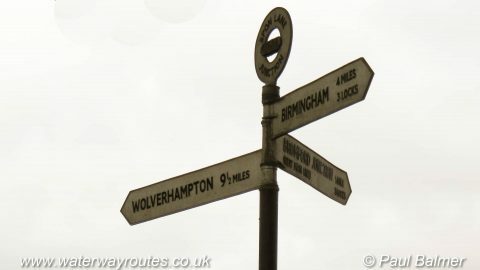 The four-way signpost marks Rotton Park Junction. 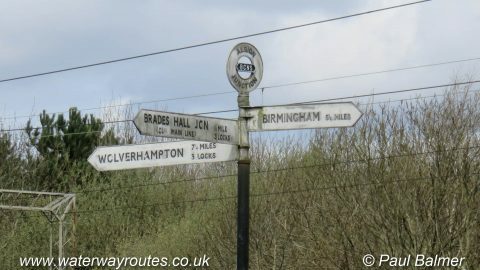 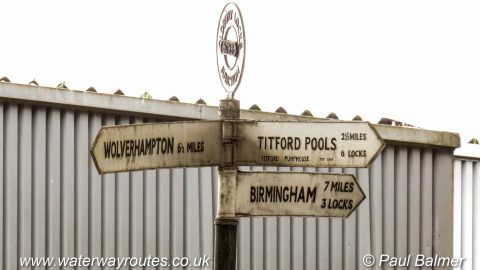 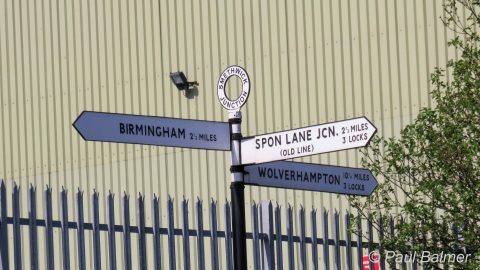 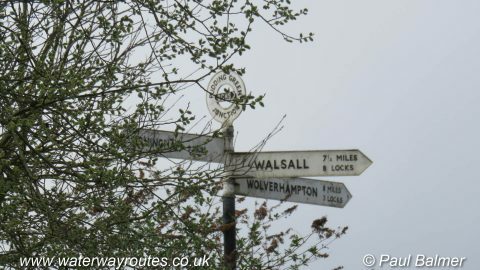 The signpost at Smethwick Junction marks the three way junction. 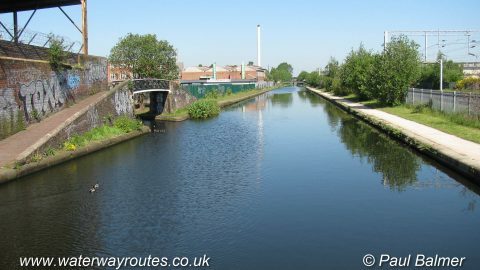 The New Main Line of the Birmingham Canal Navigations runs straight past Deepfields Junction between Birmingham and Wolverhampton.